Employees are the driving force behind your company’s success. IT experts and tech managers play a pivotal role in innovation, and help your company stay ahead of the game. These talents are highly sought-after – and this makes filling vacancies in the IT industry a challenge. We believe there’s no need for you to sense the alleged “tech skills shortage.” Our job as your recruitment consultants is to find the right talents for your companies in Germany, Austria, and Switzerland, and at an international level, too. Our clients come to us mainly because they have mission-critical vacancies that need to be filled fast or they’ve been looking in vain for the right talents for a while. Thanks to specialization, networks, direct contacts, and personalized search strategies, we can fill these vacancies with the perfect candidates, especially in niche markets. Try us and see! Our goal is to deliver exactly what you want – and more. We work with you to devise a search profile and fine-tune our approach accordingly. We only put forward candidates who meet your must-have criteria and who can identify with your corporate culture. This saves you time, money, and hassle. What if your ideal candidate would need to move to Germany or to another city to work for you? No problem. We help you secure the talent you want with our attractive relocation package, and can call on our dependable partner company Grace Relocation Service to assist us. What if there are language barriers or you need a translator? No problem. We can tap into our network of freelance translators, interpreters, and language teachers for many languages. Thanks to our professional experience in personnel development, we can draw on a network of experienced instructors, personnel developers, and management consultants. In cooperation with them, we offer training in applying for jobs and honing communication skills; management, project management, and sales seminars; team-building workshops; and cross-cultural communication courses. We’d be happy to put together a training package tailored to your company’s or your team’s needs. Either we contact you with news of a vacancy or you’re looking for a new professional challenge and contact us. We take your professional ambitions seriously and aim to find you a job that perfectly matches your skills, capabilities, and interests. We advise you competently, honestly, and free of charge. And we accompany you through the entire application process with words and deeds. We want your candidate experience to be 100% positive. 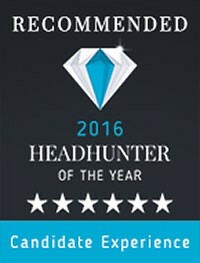 In the Headhunter of the Year 2016 competition, Selectancy was awarded the top score of six stars in the candidate experience category, and ranked 13th overall. I’m passionate about networking, both professionally and personally. It’s enabled me to meet so many interesting people. 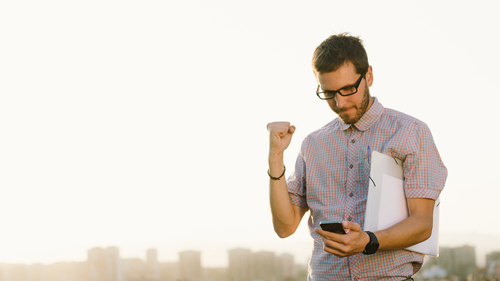 Of course, there’s more to being a successful recruitment consultant than being well-connected. In addition to my current role as an identifier of top tech and management talent in the IT sector, I’ve worked in recruiting and personnel development and as a translator for Spanish, mainly for international companies and also in Great Britain. I have a degree in translation and later studied part-time while working, completing a seven-semester business administration course as one of the best in the year. I’ve always been keen to broaden my horizons and think out of the box. That’s why I’m glad to be able to work in a field where I can use all my experience and knowledge optimally. It means I can offer more than a standard recruitment service, providing added value through consulting on cross-cultural matters and personnel development. Wherever appropriate, I involve tried-and-true partners. My first language is German, and I speak English and Spanish fluently. I also have a good knowledge of Croatian. On a more personal level, I set great store by maintaining a good work-life balance through sport. That’s why I run regularly, practice yoga, and like going for walks, especially along the River Isar in Munich. Apart from that, I enjoy meeting friends, keeping up and developing my language skills through tandem learning, traveling and laughing. And I’m a big foodie. My talent is getting people passionate about things. So I made it my job. After studying social work with a focus on adult education, I worked as a recruitment consultant and trainer in a management consultancy in the field of commerce. As well as sourcing experts and managers, I designed and held communication seminars for customers. As an in-house recruiter for an engineering service provider in the automotive industry, I learned what recruiting can look like in big companies and what the challenges are. What makes me a successful recruitment consultant is quite simple: It’s my specialist knowledge coupled with a high regard for my customers and candidates, plus my ability to understand and empathize with other people. I simply enjoy talking and working with different people. My first languages are German and Croatian and I speak English fluently. Outside work, I play and watch soccer and like pretty much all ball games. My other hobbies include aikido and gaming. We are currently looking to fill these vacancies. We would be happy to tell you more. Fullstack Developer (f/m/d) Python, JS, React.js etc.